The summer months are soon coming to an end, but in many states (Hello, Texas!) high temperatures continue to make for thirsty lawns. In an effort to optimize water consumption I decided to turn to a high tech option – an intelligent irrigation controller. These devices are designed to tailor water usage to the weather conditioners and specific needs of the various zones of your lawn. In addition, they give you the ability to closely monitor water usage from your mobile device. 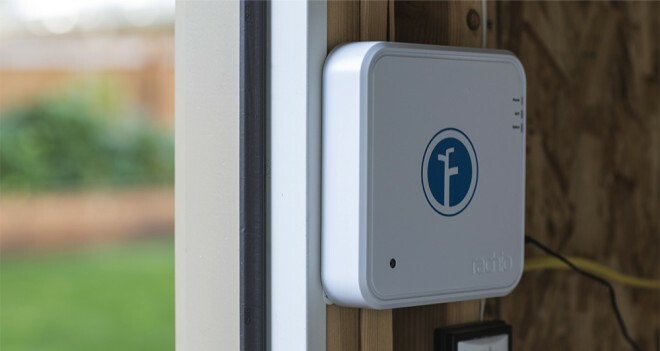 There are several good options on the market but based on my specific needs I chose to install the Rachio Iro Smart Sprinkler Controller. This controller unit combines an elegant design with powerful software to proactively adjust watering to weather conditions near your property using both public and personal weather stations. It also customizes each zone based on soil type, slope, nozzle type and amount of sun to minimize runoff and make every drop of water count. Installation of the unit took me less than thirty minutes. The steps described below assume that you are replacing an existing sprinkler controller with the Rachio. Step 1: First, open the existing irrigation controller exposing the wiring for the individual zones. It is a good idea to take a picture of the wiring so that you can match up the wires with the zone numbers on the new controller. Step 2: Next, remove the wiring and take the existing controller off of the wall. Mount the Rachio base plate to the wall. The common wire is generally white and should be attached to the terminal marked C. I found that it was easier to insert the wires if I depress the tab while pushing the wires into place. Continue to connect the zone wires in the same order that they were on the old controller. If you have a wire for a rain sensor or master pump valve connect those as well. Step 3: Once the wires are connected snap the Rachio controller onto the base plate. It is easier if you arrange the wires so that they lay flat and fit completely in the depressed area. This will keep them from interfering with the unit as you snap it into place. Step 4: Once snapped into place you need to download the Rachio app to your smart phone. After you have set up the app, it is time to get your controller connected to the internet by ‘blinking up’. This step configures the WiFi and associates the Rachio to your account. To blink up you first must make sure that the controller is on and that WiFi light is blinking either amber or red. Turn your cell phone up to its maximum brightness. Once the countdown on the app starts hold your phone face down on the photo sensor. The blink up should take a few seconds and if successful the WiFi light will begin blinking green. In my case, the garage had a lot of ambient light so I needed to shield the Rachio from the sunlight to get it to register. I also found that any movement of the phone impacted the procedure as well. Step 5: After you have connected to the controller, it is time to set up the zones of your yard. Since the old zones on my controller were not labeled I did this by walking into the yard with my phone. The app will cycle through each zone, turning it on so that you can identify it. You name the zone, tell the software what kind of nozzles are used, the type of soil, the slope and the amount of shade the zone gets. This configuration sets the watering time and if there is slope or compacted soil the controller will pulse the nozzles to reduce runoff. One other cool feature is the ability to associate a photo with each zone to make it easier to remember which zone is which. After going through all zones, the app will prompt you to create a watering schedule. It suggested every three days in my case. You can also set seasonality factors if you find that you are getting too much or too little water for the time of year. If possible, you should monitor the first running of the schedule to fine tune the times per zone. If you see runoff or puddles, reduce the time. So far I have been very impressed with the controller. I was able to find a reliable weather station 1.7 miles from my lawn and the controller has intelligently postponed cycles based on past and future weather conditions. It is too early to say how much this has reduced my water bill but each cycle definitely counts in terms of overall water savings. There are several integrations with the Rachio that I may try in the future. You can program if-this-than-that logic to do things like turn off the sprinklers when you pull in the driveway. It also integrates with the Nest smoke alarm to turn on the sprinklers if there is a fire. Honestly, that seems a bit like a stretch but if you live in a dry climate your neighbors might appreciate that feature to keep a fire from spreading. Overall, I found the Rachio Iro installation and configuration to be extremely easy even if you don’t consider yourself a DIY warrior. After a few hiccups on the blink up procedure, I was able to complete the entire process in less than 30 minutes including setting up zones.